Please ignore my previous review - that should have been for the Three Tuns. The Seven Stars was quite a lively place quite close to the station. It was packed and a local band was in full swing, with plenty of songs about cider, which went down a treat. The ale choice was Prescott Hill Climb & Super 6, Yeovil Summerset, Plain Ales Bitter, Boss Six & Black Yeovil Stout Hearted. I know I had Ben Crossman Dry. But I believe there was probably a much larger selection. But by this point I was too drunk to care. Possibly the best pub I went to in Bristol yesterday. I certainly remember enjoying myself here. 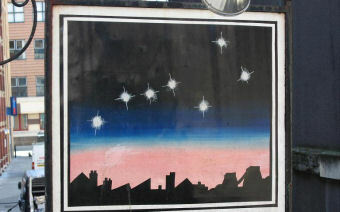 But I must endeavour to go back when much more sober. 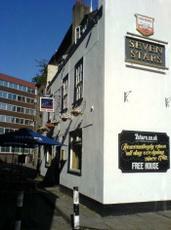 The Seven Stars was closed until 4pm yesterday, as it was close to the central riot zone and all of the police baracades. But I made the journey back here before starting my way towards the station. 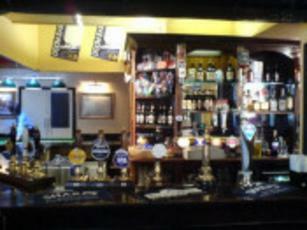 This is a larger pubs than it looks from the outside and has a courtyard garden. The ale range was mostly golden type beers - Vibrant Forest Vienna Rye Pale, Dorset Piddle Piddle, Arbor Motueka & Hoploader, Beerd Gambit, Black Flag El Dorado & Firebrand Graffiti IPA. Ciders were Westons Rosie's Pig & Worleys Mendip Hills. The latter cider was enjoyable. 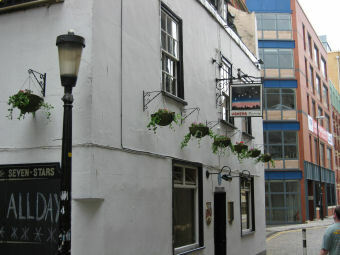 Another place offering CAMRA discounts and another good Bristol pub. Absolutely superb range of beers on our last visit, 15 in all, at their Beeriodical which is like a monthly mini beer fest. Loos need sorting. Like the Cornubia very hard to find but worth a look. We stopped in here before the train home and was quite lively. A selections of decent beers and a juke box.